Mr. Jayanti M. Dalal, B.Sc. (Hons), a businessman and writer, was born in Kapadwanj, Gujarat, India on December 28, 1935. Since his days in school in Umreth of Gujarat State, he took a keen interest in reading a large number of fiction and short stories available in the village library. To date, twenty-five books, including fourteen novels, five collections of short stories, and six compilations, have been published. He was the first Gujarati writer whose Gujarati novel Ankhane Sagpan Ansoona was translated into English, named Ordeal of Innocence first time published in U.S.A., in 2005 by Ivy House Publishing Group and Indian Edition in 2009. His second novel Spatial Echoes was published in India in 2008 and its second edition was published by Partridge – A Penguin Company – in USA in 2014. 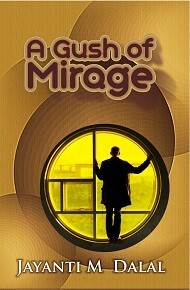 To promote his novel, he visited United Kingdom, United States, and Canada. 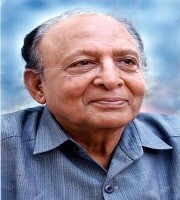 He was vice president of the All India Plastics Manufacturers’ Association (AIPMA) during 1984-85, has been nominated to fellowship in the United Writers Association, and has served on the fourteen-member working committee that prepared the book Introduction to Plastic Furniture in the Country, published by the Ministry of Industry of the government of India in 1988. Dalal has been an honorary editor of a trade publication, Acrylic News (1996), Porward Bandhu (a quarterly Gujarati community magazine, 1980-2001), and Kala Gurjari (a Gujarati quarterly magazine on art, 1993-1996 and 1999-2001). He was the pioneer who introduced Acrylic furniture to India. In 1997 and in 2013, Dalal was felicitated by a number of prominent people from diverse sections of society in a Diamond Jubilee Function organized to celebrate his 60th birthday and also in a Platinum Jubilee Function organized to celebrate his 75th birthday. A 20 minute documentary of his life was presented and was well appreciated. The life sketch of Mr. Jayanti M. Dalal Bhavatavini Vatee & Jindagino Dastavej were released during the Diamond Jubilee & Platinum Jubilee Functions. Frequently, he is invited to appear on the All India Radio and Television network for talk-shows and interviews on Gujarati literature and the Acrylic industry. His biography is featured in more than 30 national and international directories. Today, Dalal still writes enthusiastically. For him, Acrylic has been his throbbing heart and Literature has remained his oxygen.